No matter whether automotive, mechanical engineering, die and mold industries, aerospace, medical or energy technology: Our products cover a convincingly broad range of applications and provide the optimum solution for just about any requirement. Benefit from decades of expertise and the high quality and reliability of GROB to find the perfect solution for your requirement. Over 90 years' experience in system business and innovative technologies make GROB an outstanding partner for the automotive industry. GROB offers the aerospace industry – where safety is paramount – the right solutions for complex requirements and extremely stable products. GROB guarantees engineering companies optimized stability, flexibility and efficiency through customized production systems. 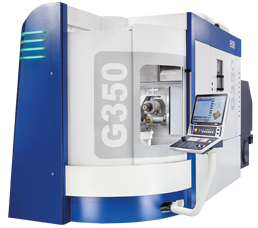 Thanks to optimized, sophisticated part machining, die and mold industries have been relying on GROB's robust products for decades. GROB machines are designed to produce long-lasting parts, perfectly machined down to the finest detail, for state-of-the-art medical technology. GROB's innovative and future-proof machines provide the right solution to the challenges of contemporary energy technology.